Beautiful pouches for mand mand soap! See it now! To promote your product well, choose beautiful packaging. Make your client delighted with not only the item, but also the outer layer. It is widely known that first impressions are very important. That’s why choosing the right packaging is crucial! 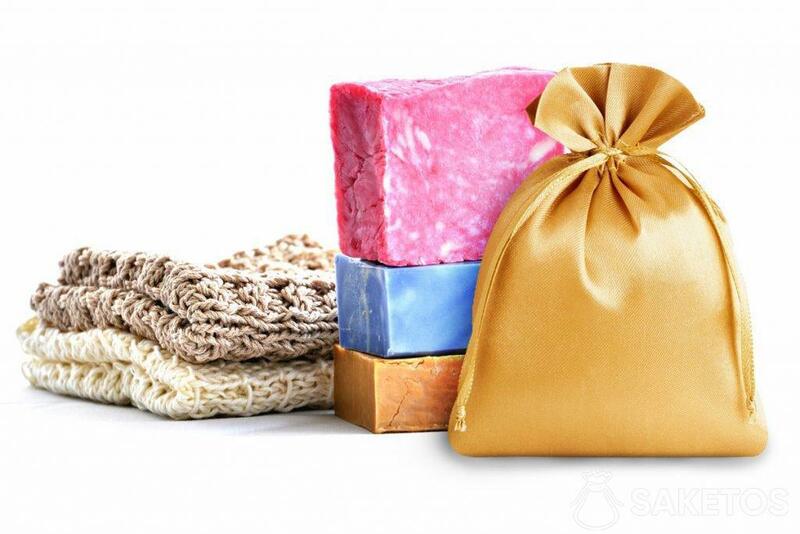 How to package handmade soap? Within our offer, there are many kinds of bags, split into categories due to a couple of factors. As a result of various questions and many applications of our pouches, we would like to offer you the biggest selection of pouches on the British wholesale and retail market. 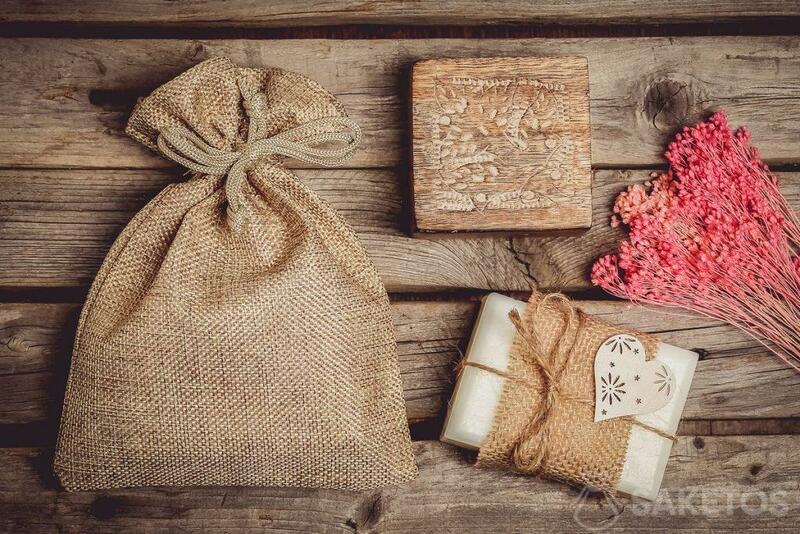 For packaging handmade soaps, we propose pouches made of jute, linen, organza, satin, velour, or even denim. Thanks to this, each client can find something special; something, that will suit the style and character of their products. Such soaps will present beautifully in organza bags. Their translucence will make it possible to partially see the soap. It will allow for the item to be noticed at the first glance, and delight with its appearance. 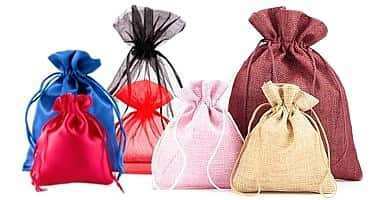 Organza bags can be made in many different sizes and colours. Starting at toned down pastel colours such as light blue, ecru, salmon and the like, through neon green, fuchsia, etc. Thanks to the wide selection of pouches, you will be able to find the ideal bag for your product. Linen bags also suit handicrafts perfectly. 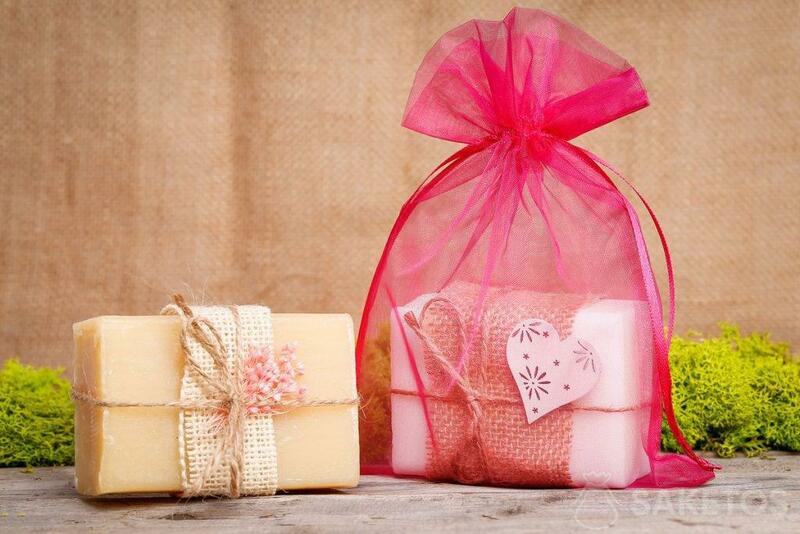 They are perfect packaging for handmade soaps. Linen bags are durable, and their appearance is very natural. For this reason, they fit handmade soap so well. They are not transparent, so the product will be a complete surprise. There are different shades to choose from – natural, light natural, dark natural, but also violet, burgundy, or pink. Within our offer, we have a wide range of sizes – for example, the organza pouches come in size from 3.5x19cm, through 5x7cm, all the way up to 75x100cm. There is also a possibility to personalise order – for example, producing pouches in a non-standard colour, size, or printing a design or a logo on the bag. If you can’t find what you’re looking for in our store, if you’d like to order a different colour or print a logo on a bag, please contact us by email. We will try to advise and present our personalised offer.